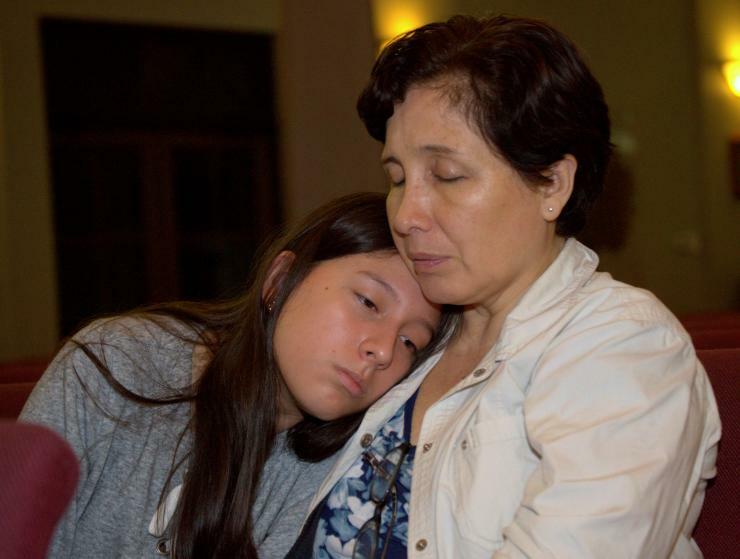 PARKLAND | The massacre at Marjory Stoneman Douglas High School in Parkland left all of America reeling, but at Mary Help of Christians Church and School, the pain and grief were especially palpable. The church, school and preschool are less than a mile from the high school and on the afternoon of Feb. 14 — Ash Wednesday and Valentine’s Day combined — sirens blared and emergency vehicles sped by the school throughout the afternoon. The school was locked down for nearly three hours, and the next morning, the parish family learned that one of its own had been among the victims. The mood at the preschool was somber as veteran teachers reminisced about one of their former students, Gina Montalto. They recalled a youngster with an infectious smile and an effervescent personality. As a freshman at Douglas, she had excelled as a member of the marching band’s winter guard, a precision flag and dance troupe. 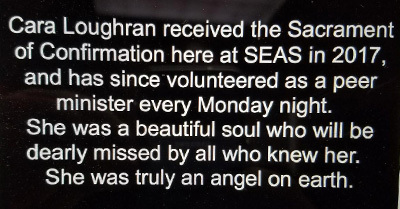 This is how parishioners at St. Elizabeth Ann Seton remembered Cara Loughran, 14, at a prayer service Feb. 18 for all the victims of the shooting at nearby Marjory Stoneman Douglas High School in Parkland. 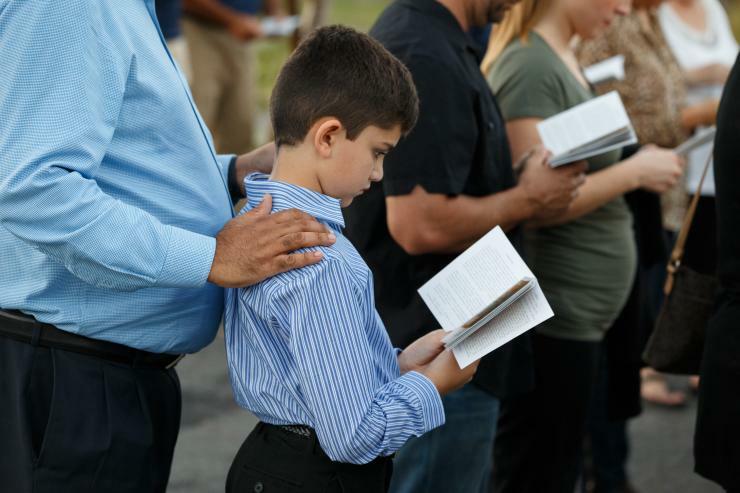 The prayer service was aimed at comforting families in the parish who knew any of the victims and teens who attended school with them. 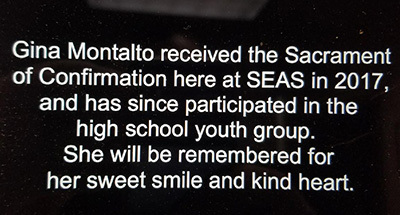 This is how parishioners at St. Elizabeth Ann Seton remembered Gina Montalto, 14, at a prayer service Feb. 18 for all the victims of the shooting at nearby Marjory Stoneman Douglas High School in Parkland. 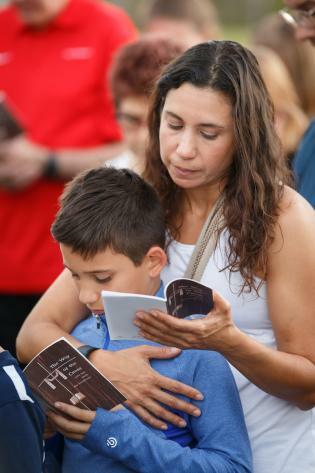 The prayer service was aimed at comforting families in the parish who knew any of the victims and teens who attended school with them. They also mourned 14-year-old freshman Cara Loughran, who served as a peer minister in St. Elizabeth’s religious education program. Both Gina and Cara had received the sacrament of confirmation at the church last year. 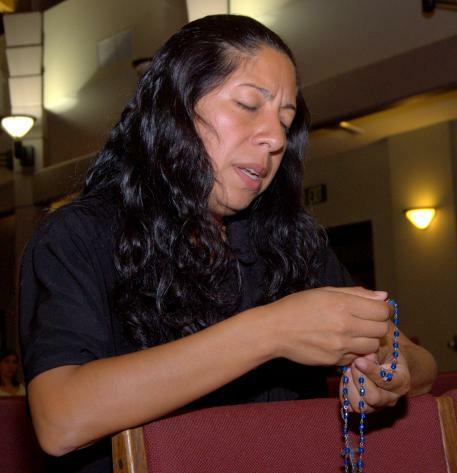 While plans for Gina’s funeral were underway at Mary Help of Christians, the parish also needed to address the pain felt by others in the community whose children and their friends had been terrorized and traumatized by the events, as well as their parents who had suddenly started feeling very vulnerable. 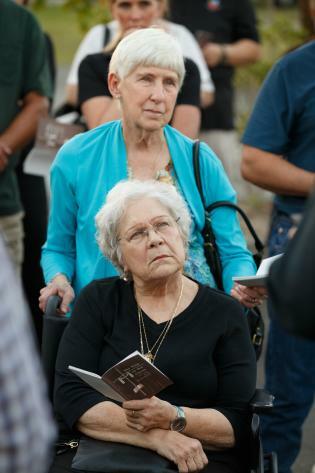 The parish moved swiftly: rosaries were being said every two hours on Thursday, the day after the shooting. 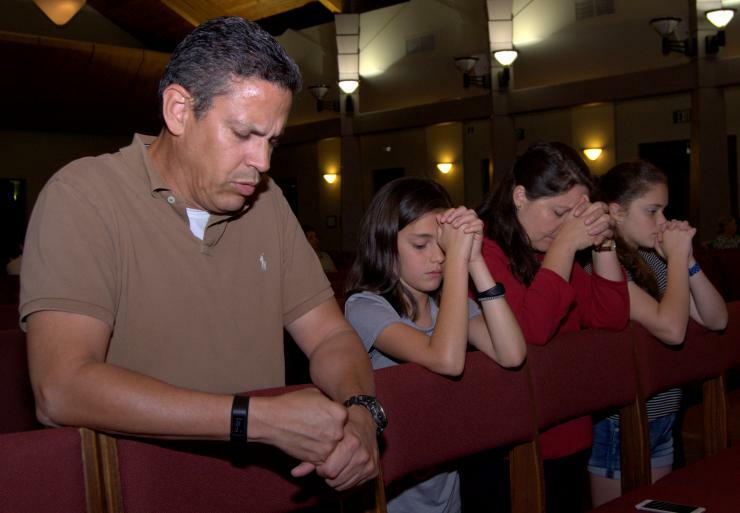 That same night, the parish held a bilingual prayer service, one of several religious vigils held throughout Parkland that night. 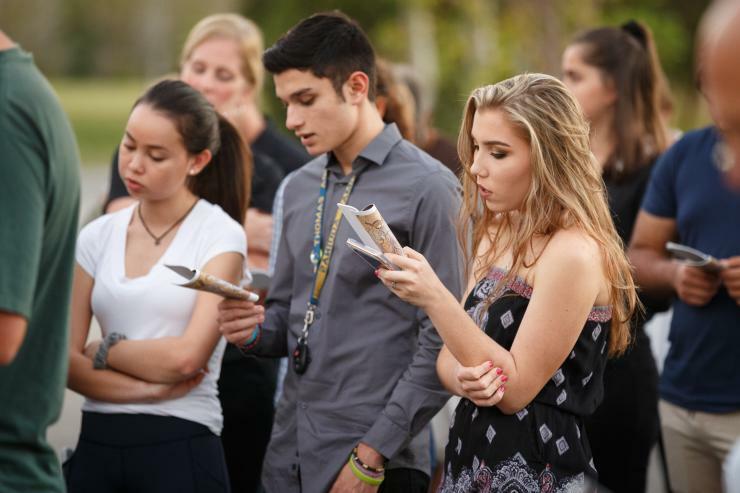 Acute pain and grief were being felt elsewhere in Broward County, too. 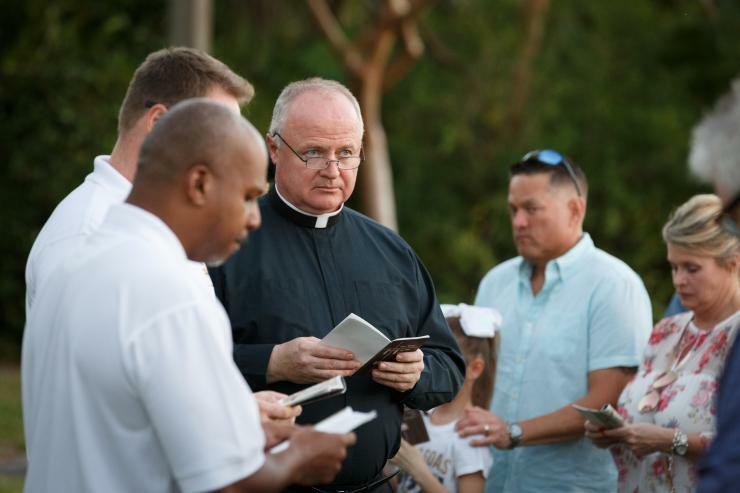 In Hollywood, Nativity Parish learned of the death of longtime parishioner Christopher Hixon, Stoneman Douglas’ athletic director and wrestling coach. Hixon had also served as athletic director at Blanche Ely High in Pompano Beach and South Broward High in Hollywood. Hixon was the son of a Broward wrestling coach and he loved coaching the sport himself. But when he was needed to step in elsewhere — as a volleyball coach at one school, an assistant soccer coach at another, he did what was needed for his students. 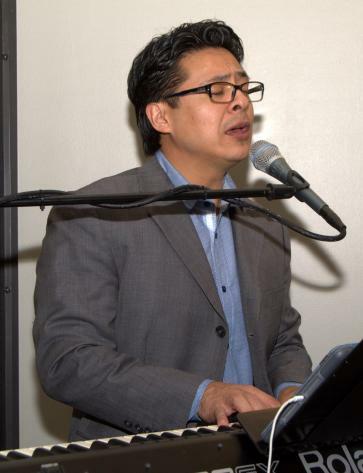 He was equally devoted as a husband and father, and had served honorably in the U.S. Navy and Navy Reserve. Accolades followed him throughout his career; his most recent was being named the 2017 Athletic Director of the Year for the Broward County Athletic Association.